Aldo Ciccolini was an Italian-French pianist. Colum Corless was an Irish hurler who played as a right corner-back for the Galway senior team. 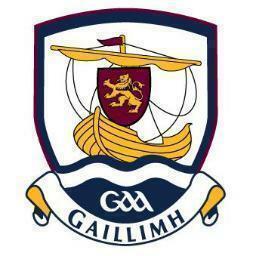 The Galway County Boards of the Gaelic Athletic Association (GAA) or Galway GAA are one of the 32 GAA county boards in Ireland; they are responsible for Gaelic games in County Galway, and for the Galway inter-county teams. Joseph Alfidi was an American pianist, composer, and conductor and initially a child prodigy. He was born in Yonkers, New York as the son of American-born parents of Italian descent, his father, Frank Alfidi, was an accordion player who ran a music school in Yonkers. Known as "Joey" in his childhood, he was three when he started to play several instruments in his father's studio. By the age of four, he frequently improvised little compositions at the piano, and soon became fascinated by symphonic music as well. Helena Araújo Ortiz was a writer and an international professor of Latin American literature and women's studies. Her works of literary criticism have appeared in various Latin American and European literary journals. Captain David George Armytage CBE was a Royal Navy officer who was a specialist in the use of radar and commanded several frigates. He took part in the "Cod Wars". Christophe Gbenye was a Congolese politician, trade unionist, and rebel who, along with Pierre Mulele and Gaston Soumialot, led the Simba Rebellion, an anti-government insurrection in the Democratic Republic of the Congo during the Congo Crisis, between 1964 and 1965. The Iraq Inquiry was a British public inquiry into the nation's role in the Iraq War. The inquiry was announced in 2009 by Prime Minister Gordon Brown and published in 2016 with a public statement by Chilcot. Dmitriy Bagryanov was a Russian long jumper, best known for his gold medal at the 1992 European Indoor Championships. Richard Bonehill was a British actor and stuntman with an expertise in swordsmanship. Kairshasp Nariman Choksy, PC, MP was a Sri Lankan lawyer, politician and a former member of the Parliament of Sri Lanka. He was Cabinet Minister of Finance under Prime Minister Ranil Wickremasinghe. He had also served as Cabinet Minister of Constitutional & State Affairs from 1993 to 1994 under President D. B. Wijetunga and was a member of parliament from 1989 to 2010 continuiosly. Henri 'Rik' François Louis Coppens was a Belgian footballer who played as a striker. He played 389 games and scored 261 goals for Beerschot AC. Coppens won the first Belgian Golden Shoe in 1954. After his career as a player, he became a coach with Tubantia Borgerhout (1970–1971), Berchem, Beerschot and Club Brugge (1981). Thio Him Tjiang, 85, Indonesian footballer. Jaime Vásquez, 85, Chilean footballer. ↑ "The American pianist Joseph Alfidi dies in Brussels". The Brussels Times. 2015-02-03. Retrieved 2016-08-03. ↑ Michelle Genz (2015-02-28). "John-Edward Kelly: Acclaimed Vero musician dead at 56". Vero Beach News. Archived from the original on 2016-05-17. Retrieved 2016-08-03. ↑ RIP Former Long Island Bishop Orris G. Walker, Jr.